The George Washington University School of Medicine and Health Sciences’ (SMHS) new mission, vision, and strategic plan grew out of the School’s priorities that were identified as early as 2011, following the reorganization of the George Washington Medical Center. SMHS leadership recognized the rapid changes taking place in our nation’s health care delivery system with the enactment of the Affordable Care Act (ACA) and that federal research dollars were remaining stagnant, and set forth several priorities that leverage the strengths of the SMHS to achieve maximum success in each of its missions. Some of these priorities have already been accomplished. For example, the SMHS has successfully recruited a Senior Associate Dean for Research and Senior Associate Dean for Clinical Public Health, established the Office of Diversity and Inclusion and the Office of Clinical Practice Innovation, revised the pre-clinical years of the medical education program curriculum, invested in non- wet lab research, and completed the major renovation of laboratory space which was funded by a National Institutes of Health (NIH) C06 grant for vaccine development to eliminate HIV/AIDS and other related research within the Department of Microbiology, Immunology, and Tropical Medicine. In the process of formulating its goals for the next three years, the School maintained the core mission of education, research, and healing. These core values have been steeped in the School’s respected tradition since its establishment in 1824 as one of the oldest medical schools in the country and the first in our nation’s capital. But its inspiration for the future came from the feedback and characteristics of the SMHS community. 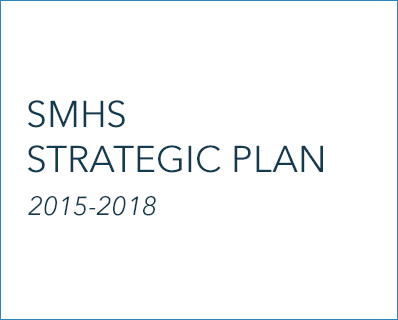 Highly regarded as a school that trains outstanding clinicians, the SMHS faculty, students, and staff are collectively and uniquely interested in service, advocacy, and health equity. This interest was expressed in focus groups and surveys, but is most frequently exemplified by the volunteerism of our learners and faculty. 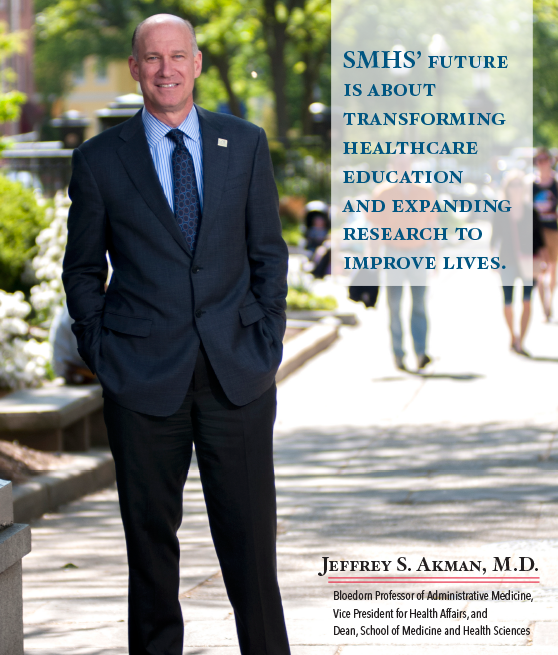 When combined with curricular changes that emphasize population health management, and the School’s renewed interest and investment in translational, interdisciplinary, and health services delivery research, the overarching vision for the School becomes clear: GW SMHS’s future is about transforming healthcare education and expanding research to improve lives. Every aspect of the strategic plan is informed by this aspiration and specifically this vision to be the globally recognized academic medical center that embraces the challenge of eliminating health disparities, transforming health care, and expanding research to enrich and improve the lives of those we serve.